This column was originally published on August 4, 2017, and was updated on August 15, 2017, in order to outline and address developments and statements made on this issue between August 4, 2017 and August 15, 2017. In the wake of North Korea’s recent tests of an intercontinental ballistic missile (ICBM), the UN Security Council unanimously passed some of the toughest sanctions it has ever imposed on North Korea. But instead of working with allies and partners to follow up on those sanctions and turn up the pressure on North Korea, President Donald Trump has raised the chances of a catastrophic conflict with North Korea by making reckless and irresponsible threats. With the stakes so high, too often policy options are presented as a false choice: attack North Korea or allow it to have nuclear weapons. Instead, the United States needs a clear, consistent approach to deter North Korea—one that ensures North Korea does not attack the United States or our allies or proliferate its nuclear and missile technology, while at the same time makes possible a path to the eventual denuclearization of the Korean peninsula. The spiral of actions and rhetoric in recent weeks has significantly escalated the situation and the dangers of miscalculation. Following the passing of UNSCR 2371, North Korea threatened to deliver retaliation to the United States a “thousand times over.” North Korea is no stranger to hyperbole; for years the nation has made outrageous threats to attack the United States, but it does not follow through on these regular taunts. President Trump upped the ante on August 8 by saying, “North Korea best not make any more threats to the United States. They will be met with fire and fury like the world has never seen.” In response, North Korea said it planned to fire four missiles into the waters off Guam. More threats from both sides are likely, and without levelheaded leadership on the part of the United States, the situation could spiral out of control. Meanwhile, the U.S. strategy is unclear. U.S. Secretary of State Rex Tillerson said, “Americans should sleep well at night. I have no concerns about this particular rhetoric over the last few days.” However, White House National Security Advisor H.R. McMaster said, “If [North Korea] had nuclear weapons that can threaten the United States, it’s intolerable from the President’s perspective. Of course, we have to provide all options to do that, and that includes a military option.” But the U.S. Department of Defense is acting as usual, with no indications in the region or anywhere else that a conflict is imminent. U.S. Secretary of Defense James Mattis coauthored an op-ed in The Wall Street Journal with Secretary Tillerson that attempted to outline the U.S. strategy and indicated that no military action was imminent, sounding quite different from Trump’s fire-breathing rhetoric. This op-ed was published, however, just after Deputy Assistant to the President Sebastian Gorka said that it is “simply nonsensical” for Tillerson to be talking about military options. This lack of strategy, combined with President Donald Trump’s irresponsible rhetoric and chaotic mismanagement and miscalculation, could start a war. Indeed, President Trump has ominously said, “We could end up having a major, major conflict with North Korea. Absolutely.” Sen. Lindsey Graham (R-SC), in repeating a conversation with Trump said, “If there’s going to be a war to stop [Kim Jong Un], it will be over there. If thousands die, they’re going to die over there. They’re not going to die here. And [Trump’s] told me that to my face.” This rhetoric is reckless and devoid of any connection to realistic military or strategic objectives. Rather than dangerous bluster, the United States needs to focus on deterring North Korean aggression. Despite its recent provocations, North Korea has not yet mastered the technology to launch a nuclear-armed ICBM. And while an ICBM would pose a serious threat to the United States and be a strategic milestone, it does not fundamentally change the strategic calculus; the United States and its allies can still deter North Korea. 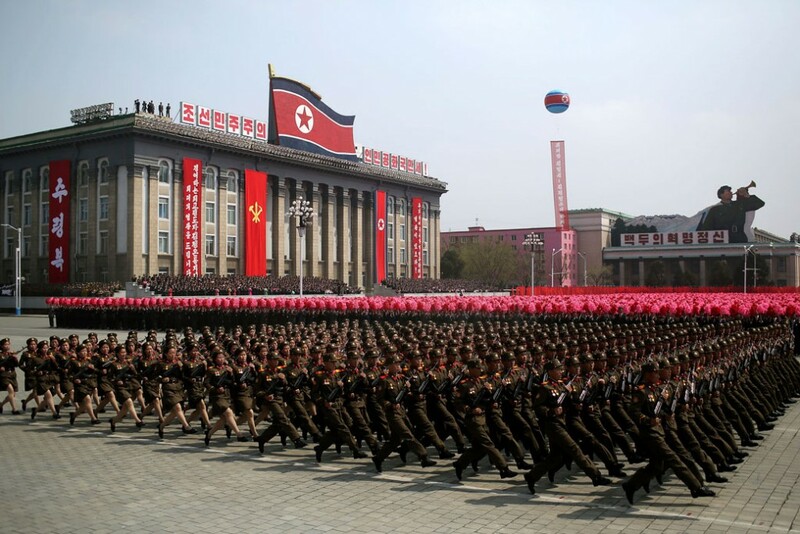 North Korea’s priority remains regime survival, and Pyongyang needs to know that an attack on the United States or U.S. allies in the region would without doubt result in the regime’s end. Fortunately, war with North Korea is avoidable, not inevitable. The United States needs to work with its allies and partners to pursue a consistent, realistic strategy to prevent North Korean aggression and open a path for the eventual denuclearization of the Korean peninsula. There are active steps the United States must take to successfully contain North Korea, from strengthening regional alliances to enhancing the U.S. military posture to using sanctions to engaging China and more. A thoughtful, multipronged approach outlined below is the most effective strategy to preventing war and addressing the North Korean threat. It should go without saying that the administration needs a strong team to manage this complicated and dangerous issue. It is national security malpractice that more than six months into the Trump administration there are no nominees for ambassador to South Korea, head of East Asian and Pacific Affairs at the U.S. Department of State, or head of Asia policy at the U.S. Department of Defense. Moving forward, the administration must build a long-term strategy featuring the following eight components. No strategy for dealing with the Democratic People’s Republic of Korea (DPRK) can be successful without rock-solid alliances that are working in lockstep. But as the above comments make clear, Trump doesn’t think about how his actions will affect alliances. This attitude will make it impossible to confront North Korea effectively. The U.S. military presence in Asia is a cornerstone of regional stability and the main deterrent to North Korea. With North Korean provocation growing, the United States must make clear that it will continue to strengthen its force posture in the region to deter and respond to any threats. This should include consideration of a range of options, including deploying more missile defense, surface combatants, and air platforms, while looking at cyber policy options and continuing to hold joint military exercises with South Korea and Japan. U.S. defense officials should deepen consultations with South Korean and Japanese counterparts regarding new capabilities South Korea and Japan should consider acquiring. The United States needs a consistent strategy that engages China on North Korea while turning up the pressure on China to do more. So far, the Trump administration’s approach of pressing China and then giving up on the effort amounts to an abdication of U.S. leadership on a core national security issue. And while China does have the greatest leverage on North Korea, engagement with Beijing must be one part of a much broader strategy. The administration’s recent move to impose secondary sanctions on some Chinese banks funneling money for North Korea is a good first step, but more is needed. Moreover, the U.S. approach needs to be clearly communicated with Beijing. The United States should make clear to Beijing that the secondary sanctions will continue to increase until China begins to fully enforce UN Security Council sanctions on North Korea. The United States must also let Beijing know that it will continue to strengthen its military presence in the region—including missile defense—in response to North Korean threats. In addition, by connecting his decisionmaking on China’s currency and trade policy with matters of war and peace, Trump will only make it more difficult to address real concerns on both. The United States must work with partners in Asia and beyond to pressure North Korea’s trading partners to comply with all UN Security Council sanctions. While China is by far North Korea’s largest trading partner, North Korea also increasingly seeks out economic relationships with other countries to diversify its trade and opportunities to support its illicit programs. Its exports to Russia increased nearly 50 percent in 2016, and its exports to the Philippines were up 170 percent. North Korea is also making a name for itself by exporting what effectively amounts to slave labor. By working with North Korea’s other economic partners, the United States and the international community can dry up the resources that support North Korea’s illicit programs. The United States should make clear that it is willing to talk anytime with North Korea to discuss any range of issues—including an eventual path to normalizing relations—with two conditions. First, the United States will address North Korea’s nuclear and missile programs in any talks; second, the sanctions and pressure will continue to increase until North Korea takes real steps to freeze or roll back its programs. Sanctions and other forms of pressure can only work if there is a realistic path to diplomacy. North Korea wants to be respected by the United States, and is highly unlikely to come to the negotiating table unless it believes it can address its concerns, which does not hurt U.S. interests as long as the pressure continues while talks happen. But requiring North Korea to accept denuclearization as a precondition to talks, as Secretary of State Tillerson has stated, ensures that no talks happen and that there is no resolution to the threat posed by North Korea. The Trump administration also needs to allow its diplomats do their jobs without wild threats or rhetoric coming from the president or the White House. With the Trump administration struggling to get its act together and sending mixed signals, Congress must play an increasingly assertive role in forcing the administration’s hand on North Korea. Congress’ recently passed sanctions against North Korea, which will impose mandatory secondary sanctions on financial institutions doing certain kinds of business with North Korea, were a strong step in the right direction. But they also illustrate the lack of strategy. Rather than Congress working collaboratively on a strategic game plan, Congressional leaders slapped the North Korean sanctions onto the Russia and Iran sanction bill. This ad-hoc approach cannot succeed. Congress should hold hearings and pass amendments to the National Defense Authorization Act demanding a strategy for dealing with North Korea from the Trump administration. Congress should also consider additional sanctions that can send a strong and consistent message about U.S. policy. The United States is opposed to the North Korean regime and the threats it poses with nuclear and missile programs, but is not opposed to its people. As the United States works to deter North Korea and pressure it to change its behavior, America must also attempt to support the North Korean people. This requires ramping up efforts to increase the flow of information into North Korea; calibrating sanctions to minimize disruption to economic activity that helps average citizens; and shining a spotlight on the regime’s massive human rights abuses. Trump’s erratic and concerning rhetoric has left the United States uncoordinated on North Korea and playing a dangerously weak hand. The United States cannot “handle North Korea” alone. With the UN General Assembly (UNGA) coming up in September, the Trump administration should work quickly to coordinate a strategy incorporating all of the above elements with our allies. Then, on the margins of the UNGA, the administration should convene a meeting of the foreign and defense ministers from Japan, South Korea, China, Russia, and the UN secretary general to discuss a long-term and strategic effort to bring peace to the Korean peninsula. On North Korea, President Trump is playing with fire. The threat posed by North Korea is deadly serious, and Trump’s irresponsible actions are making the situation even more dangerous. The United States needs to immediately deploy a carefully coordinated strategy to prevent a war with North Korea, defend America and its allies, and find a path to the eventual denuclearization of the peninsula. Michael H. Fuchs is a senior fellow at the Center for American Progress, and previously was a deputy assistant secretary of state for east Asian and pacific affairs. Vikram Singh is vice president for national security and international policy at the Center, and previously was a deputy assistant secretary of defense for south and southeast Asia. Abigail Bard is a research assistant for Asia policy at the Center.